It's no surprise that Kate Middleton has style that can is constantly stirring buzz around the world. One thing is for sure, she wears blue often, and well indeed. 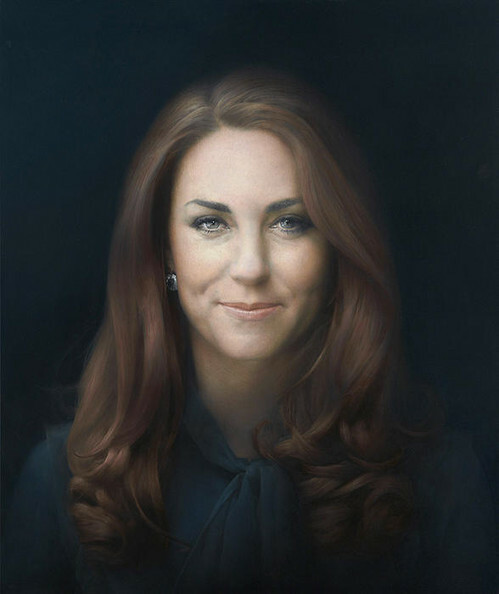 In her official royal portrait, unveiled last week, Kate looked beautiful, with loose curls and a top in the color she wears the best. However, I wish she would have flashed an actual smile in the portrait. The best part about the portrait is the blue pussybow blouse, because it is completely affordable for you and I (that is, until it becomes sold out and re-sold on Ebay for a pretty penny!) The blouse, by French Connection, in white, is a whopping $32! Can you believe that? Or you can get the dark version for a little bit more. One more reason to love the Duchess of Cambridge... she makes it possible for every young woman to feel like a princess. Love Kate! She looks gorgeous in her painting. I am obsessed with her style! Great inspiration! If you get a sec, Id love for you to stop by my blog. So beautiful! I love her and her style. She is such a great icon!